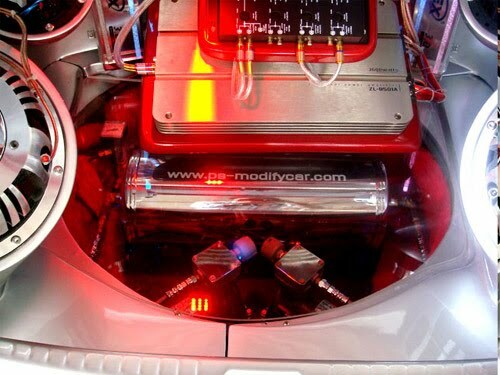 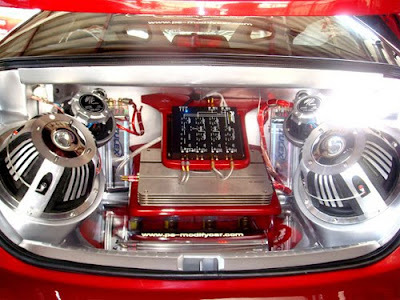 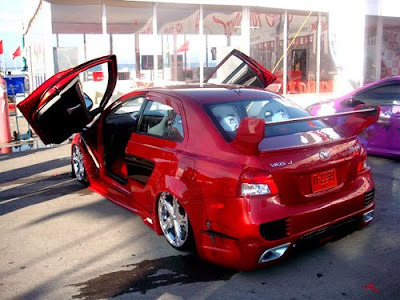 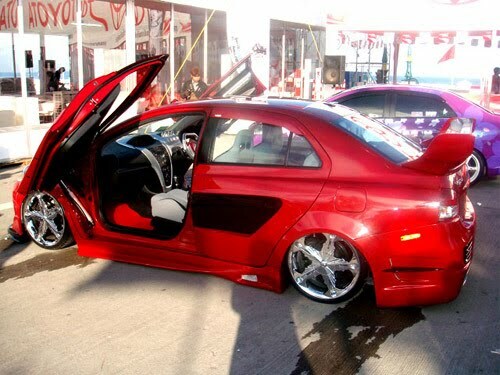 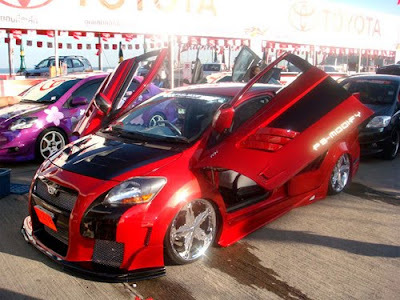 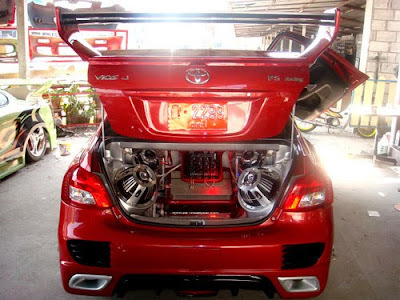 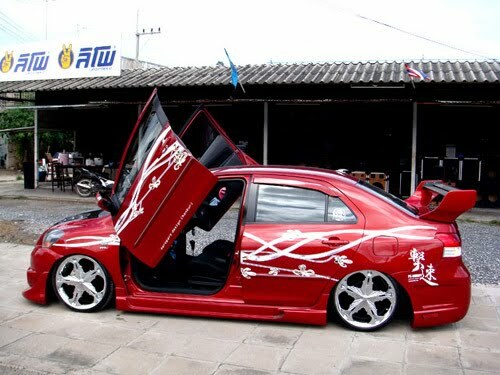 These are some of the custom modified Toyota Vios by a car bod kit shop in Thailand. 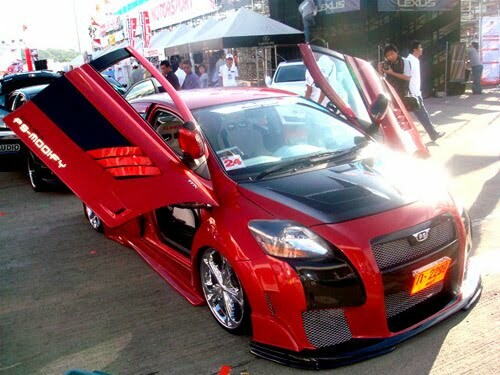 I would say they did a marvelous job. 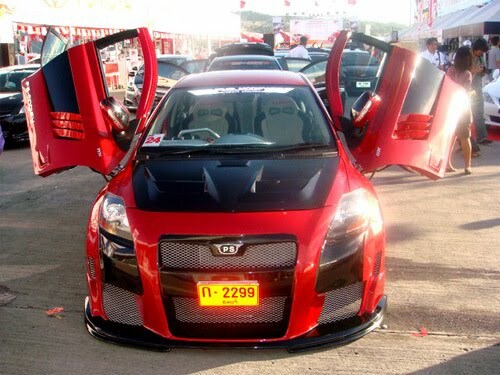 I like the custom-made body kits for this model as in Malaysia, it is not easy to get good and nice looking Toyota Body Kits especially for 2008 model. The exhaust of this Vios reminds me of Toyota Camry. 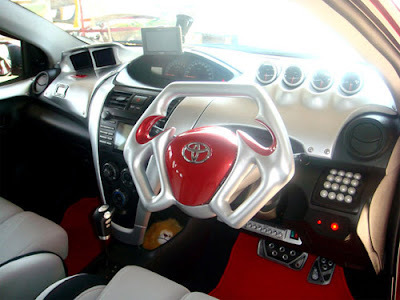 Despite the exterior appearance, the interior part of this Toyota Vios is also shocking, with fully equipped audio system(subwoofers, amplifier, active/passive crossover, capacitor, speakers), customized sterling plate, dashboard etc.